Twitter is sure one of the biggest and leading online micro blogging platforms and social media networking site, as at present. Twitter is about the second largest and most popular social media network after Facebook. With over 316 million active monthly users including multiple accounts, which is allowed compared to Facebook with over 900 million active users everyday. However, you can also make money with your twitter account just like, the way you make money with your blog. You don’t really need to have a website or blog to make money with social networking sites. we all know that twitter is a powerful platform itself for marketing, interacting or chatting to catch fun online. Create a Twitter account around a profitable niche e.g. Business, Traffic, Health, Making money online, Affiliate Marketing, E-mail marketing, Online education and get a large number of followers interested in that niche of yours then you can tweet links to interesting content from around the web. Offer your followers something of value with or without having to create a website or blog and write good content yourself. To make money with your twitter account is simple, it’s the same way you do on a blog or website. Examples include Selling advertising, Sponsored links, Affiliate marketing, and so on. 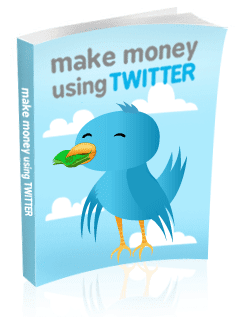 Below are websites that can help you to make money on twitter. Log in by connecting: Facebook or / and Google Accounts. Izea is a well known advertisement service mostly for the US. Now Izea it adds Blogging for money too. All prices are in US Dollars. It allows you to set your own price per click for ads that you tweet. You can choose the ads you tweet from a list of available ads that are updated regularly. You must have at least 50 followers, 100 tweets, and an account that is at least 60 days old to sign up for this service. Just a Quick one here, Check it out, The Sponsorship Marketplace! They match you with Advertisers right away. Make sure you fill out your Basic Info also ; it will show on your profile. Update your Verticals and Tags for more relevant Offers. Ad.ly is a Twitter-based advertising service and is a pay-per-click platform. The more followers you have and the higher reputation you have, the greater access you will have to higher-paying campaigns. Payout is made via PayPal when you have reached $20 in earnings. Fill out your Basic Info also. Your account will first be reviewed ! You will have to send an email to with the social media accounts / Facebook Pages that you plan to post on and your username, so that they may review your account. They will let you know if your account has been approved. Your profile is the best way to tell Marketers about yourself! Add a Bio, pick an Avatar, then add Demographics about yourself and the Topics you're passionate about. The more social accounts you connect, the more potential you have to make money. Make sure you set the Topics and Target Audience for every connection! There are many other ways you can make money with your Twitter account, including selling banner ads on your profile page, setting your own rates and selling direct sponsored tweets, charging to send a personal message to your followers, or charging for access to your private list of followers. These advertising services can also help you make money through pay-per-click advertising, which can be especially lucrative if you have a large following. Tell Compelling Stories Across Social Media, At Scale Build Impactful Brand & Influencer Collaborations. I will update this page as I find more sites, Subscribe Below. I read your pot. It is very useful. Thanks for sharing. Also you can learn seo and become a freelancer copywriter with seo techniques.